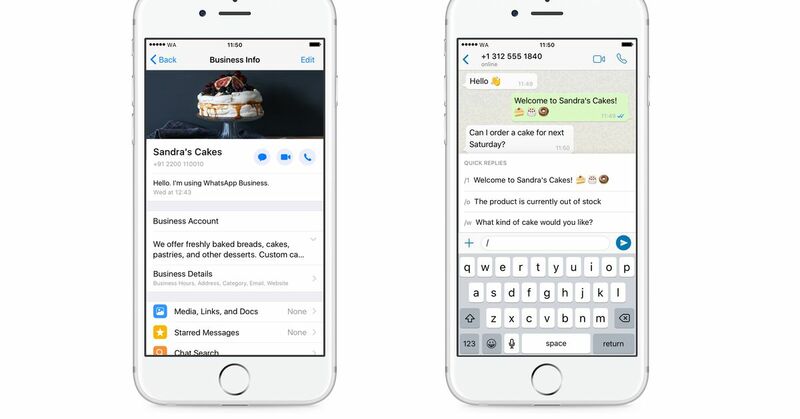 WhatsApp Business, a version of the messaging app that enables small businesses to connect with their customers, now rolls across the world on iOS. The free app launched on iOS last month, but only in a limited number of countries. WhatsApp Business has been available on Android since last year. Unlike the standard WhatsApp messaging app, WhatsApp Business allows business owners to create a profile to share business information such as their email or store address and also have access to greetings and away messages to manage interactions with customers (who contacts them using help of the standard WhatsApp client). WhatsApp's web interface is also supported by the app. WhatsApp Business app should not be confused with WhatsApp Business API, a paid service designed for much larger companies. The API allows companies to send messages such as boarding passes and receipts as well as responses to customer queries. It is currently one of the few ways in which WhatsApp earns itself directly. WhatsApp Business App is available now in Brazil, Germany, Indonesia, India, Mexico, Great Britain and the United States and comes across the rest of the world in the coming weeks.